The first recorded mention of Merlot was made in 19th Century France. Gathering evidence from wine historians around the world, the first mention of Merlot came in 1784 from a Bordeaux official, probably a statesman or other high ranking public officer. This official made the claim that this wine was one of the finest of its time. Merlot quickly began to gain popularity and winemakers began widely planting the grape many referred to as "little blackbird" or "young blackbird" in the Bordeaux region of France. No one is quite sure if the name is a reference to the dark skin of the grape or to the blackbirds that have a fondness for eating the grapes off the vine. Though Merlot is currently one of the most popular wines around the world, in its beginnings, winemakers considered the grape a "secondary" grape. This meant Merlot was best suited for blending and not as a stand alone varietal. Of course, at the time, it was competing with one of the most highly allocated wines in the world, Bordeaux. As the popularity of Merlot grew, plantings spread from Bordeaux to the Medoc region, along the left bank of the Gironde Estuary. New plantings all but ceased in 1956 when a series of climactic events and disease almost decimated Merlot vines in France. In February 1956, a deep freeze hit France. As a result, many Merlot and Malbec grape vines were destroyed. After the severe frost, many vintners replanted Merlot vines, only to have them destroyed by a vicious round of rot. Given the loss of the Merlot grapes to frost and disease, many of the vintages of the 1960s of French Merlot were lost. French winemakers continued to plant Merlot grape vines until 1970 when the French government banned all new plantings of Merlot vines. After the frost of 1956, new Merlot plantings were consistently plagued by rot year after year. This is what led to the 1970 ban on new plantings by the French government. In 1975, the government lifted the ban and French winemakers began widely planting the vine once again. This was due largely in part to the surging worldwide popularity of Merlot at the time. 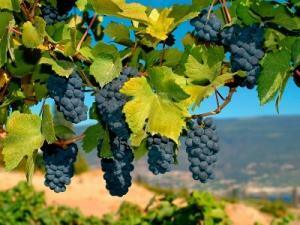 As a result of vine loss and the government ban, unlike many of the other grape varietals in France, Merlot history is relatively short with the vines only decades old as opposed to hundreds of years old for other varietals such as Bordeaux. Like most all types of wine, there is a period of time in which they become suddenly popular for one reason or another. For example, the popularity of Pinot Noir surged due to its prominent appearance in the movie Sideways. In Merlot history, it was the 1970s that was this wine's decade of supreme popularity. Due to increasing demands, there was an effective planting boom of Merlot grape vines in the United States, especially in California. Merlot continued to be the most widely planted grapes in the States until the late 1980s. Though vine plantings were in a decline, demand for the wine continued to soar until the 1990s, when wine snobs around the world turned their noses, and backs, on it. Even with this veritable outing from the cool cliques of wine, Merlot remains one of the top selling wines around the globe. Researchers at the University of California at Davis made the discovery that the Merlot grape is a progeny of the Cabernet Franc grape. Its sibling grapes include Carmenere and Malbec. Carmenere and Malbec were once popular in France, but both varietals were also lost in the frost of 1956. Both Carmenere and Malbec are now widely grown in South America and both make great stand alone wines, though it wasn't always that way. Malbec is currently experiencing a surge in popularity as a decent, inexpensive red wine. Regardless of what some snobs may think of Merlot, it remains a great wine suitable for both your regular glass-a-day and special occasions.